Unless a professional helps to design the camera system, there is a big likelihood the camera system will not protect the outside of the building and monitor the interior of the building. A professional from Apollo Security Group knows how to maximize the capability of the cameras installed. ASG is your best choice for a video surveillance system because we will discuss with you how you intend to use the cameras for today and in the future. 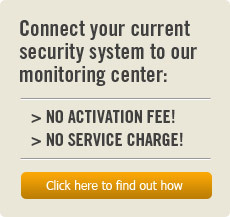 The video system can be integrated with the alarm system and the access control system. Whether the need is for a license plate camera or a pan-tilt-zoom (PTZ) camera system, ASG has the experience to provide the peace of mind you would expect from a video surveillance system.